Napa native Shelia Gentry had an early start in the Napa Valley wine and hospitality industry, working at her uncle’s restaurant and Meadowood Napa Valley, and at summer jobs at Domaine Chandon under the tutelage of Daniel Shanks and Philippe Jeanty. A desire to broaden her horizons took her to Mount Vernon College in Washington, D.C., where she earned a BA in Business with an emphasis on Marketing and a new-found appreciation for the wine country she’d left behind. Returning to Napa Valley, Shelia learned the ropes of winemaking as a cellar rat at Robert Mondavi Winery. 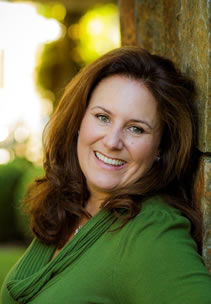 She brings extensive wine marketing experience to Oakville Ranch, having spent over 15 years in positions at Shafer Vineyards and Harlan Estate, where, as Marketing Administrator, she was responsible for all aspects of sales and marketing. Shelia is drawn to the natural beauty and organic farming practices at Oakville Ranch, where a deep respect for nature drives the growing of ultra-premium grapes. The wines reflect both the vineyards and the location’s dramatic terroir, and Shelia looks forward to introducing them to an even greater audience. Active in community affairs, Shelia served as both president and vice-president of the Napa Humane Society, treasurer of the Napa Valley Education Foundation and as Volunteer Appreciation Chair for the Napa Valley Wine Auction. She lives in Napa’s Oxbow District with husband Jonathan, son Luke, the cats; Ginger and Lily and the 7-year-old fair fish, Logan. The family’s yard is devoted to growing fruit trees and they donate hundreds of pounds of citrus and apples to the Napa Food Bank each year. Jennifer’s interest in wine began early, and the Santa Monica native still recalls her disappointment at not being able, at the age of 14, to purchase a bottle of wine to pair with the Father’s Day dinner she was preparing. While her “ah-ha” wine, a DRC Grands Echézeaux, was decidedly French, Jennifer considers herself a thoroughly California winemaker. After graduating from UC San Diego in 1993 with a Bachelor of Science in biology and working in the environmental sciences field, traveling and studying abroad, Jennifer set her sights on winemaking in the Napa Valley. She began at Franciscan Oakville Estate in 1995 working in the tasting room and moved to the lab, where she worked with her first mentors, Gary Brookman and Frances Rojas. In early 1998 Jennifer became part of the founding winemaking team at what would become Miner Family Winery, beginning in the lab and working the last five vintages of her tenure as assistant winemaker. It was there she received the encouragement and support to establish her own winemaking consultancy. In 2010 Jennifer joined custom crush house Napa Wine Company as associate winemaker to oversee the barrel aging programs, working and learning with other notable Napa Valley winemakers. In 2014 she joined longtime colleague Anne Vawter for the 2014 growing season and vintage to become onsite winemaker for Anne’s major clients in 2015, including Oakville Ranch, the first vineyard Jennifer fell in love with and a continual presence through her 19-vintage career. Jennifer has worked with every Oakville Ranch winemaker since 1996, and the return to Oakville Ranch’s soil after many years of hard work and redevelopment by Phil Coturri. Presenting the thinnest veneer between place and palate is her goal, possible only through a deep intimate knowledge of the vineyard and respectful minimal manipulation in the winery. Jennifer sees success when her hand is invisible, with only the voice of the vineyard coming through clearly. Along with winemaking, Jennifer enjoys playing in the dirt and doing science experiments with her son Otto, spending time with her best friend and husband John Curnutt as well as gardening, urban chicken farming and remaining open to life’s lessons. When he was a city kid kicking around San Francisco in the 1960s, becoming a rock star was a little more alluring than becoming a farmer. But when his parents bought land in Sonoma County and his family began spending weekends in the country, Phil got his first taste of how satisfying it could be to work the dirt and help things grow. 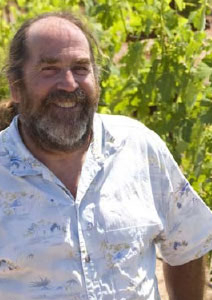 Now, with 40 years experience farming vineyards throughout the Sonoma and Napa Valleys, nothing excites him more than the opportunity to push the envelope at Oakville Ranch, which he calls one of the region's truly extraordinary places. Phil draws inspiration from a range of sources, including his longtime friends Bob Weir and Bill Kreutzmann of the Grateful Dead. "They carved their own path," he says, paraphrasing Bill Graham. "They weren't just the best at what they did, they were the only ones who did it." He runs his vineyard management company the same way, farming both organically and biodynamically while refusing to cut corners for the sake of commerce. Each hillside and hollow in the Oakville Ranch vineyard holds its own original chord deep beneath the soil. Phil coaxes these notes to the surface, knowing that, together, they'll make music in the glass. When he's not farming for his clients or working the various gardens that yield 80 percent of his family's food, he heads to Lake Tahoe to ski or mountain bike. He spends a few weeks each year in New York City visiting museums and listening to as much live music as possible. He collects books and wine. He's as passionate about going out for good food as he is growing his own.